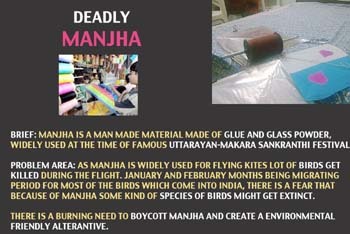 Manjha is the thread which is widely used for flying kites. One of its main ingredients is glass powder. This generally is the cause for the death of many birds which migrate from different places from around the world. It can be a reason for the extinction of some species of birds.